The question for Day 6 of the Challenge is: What was the first Tarot spread that you learned? I can’t actually remember, but the one that DOES stick in my mind is the Celtic Cross spread from the TABI Training course, so that must have been one of the first. And when you think about it, the Celtic Cross tarot spread looks nothing like a real Celtic Cross, does it? Certainly it’s one of the most popular spreads but I’m not very sure of its history. I know that it’s mentioned in A E Waite’s ‘Pictorial Key To The Tarot’ but I’m unclear as to whether there are any written records of it before the clever clogs of the Golden Dawn got involved…. If anyone has any more info about this, I’d love to hear from you! There are lots of variations on the Celtic Cross theme and, of course, I luff it to death because, not only is it a good-sized spread to use, it has a significator! a) to gain some insight into my client’s view of themselves – if I’m letting them pick a significator based purely on the imagery of the card. I like them to explain to me why they’ve chosen the card that they have – it can be very revealing! b) to get my head in the zone by taking my client INTO the spread with me. I like to use the Druidcraft Tarot court as significators, because they are so expressive. Doesn’t matter what deck I’m using, it will be the Druidcraft Court they select from! Why don’t I just use the courts from the deck that I’m working with? Well, if I do that, then the card used as the significator cannot possibly come up in the reading. But by using a different set of 16 courts, I have the full 78-card deck at my client’s disposal. Anyway, enough of me, what about you? What was the first spread that you learned?! Share it – one can never have too many good spreads at your disposal! I don't remember the first spread I learned, but I think it might have been the Cross of Six (or some such name),which is the first 6 cards of the Celtic Cross. I have a memory of reading somewhere that it was best to start with that and then add the last 4 cards later. 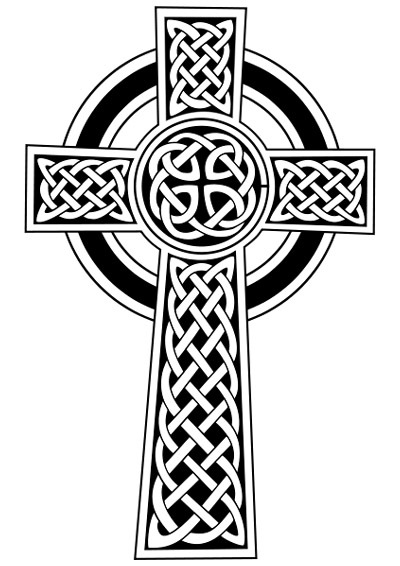 I soon realised that I don't like the Celtic Cross. My preferred is a 3-card draw with no positional meanings. I also really love the Magic Cauldron spread, a 4-card draw. My understanding is that the spread was created and meant to be a shhhhhhhh seeeekrit of the OTO/Golden Dawn. It was leaked and became popular because it was supposed to be a shhhhhhhh seeeekrit. Kind of like the Mrs. Fields' Cookie recipe. 😀 I do not use a significator. I love that you mention taking the significator from a different deck. I often wonder what happens to that card if it does have something to say, and it's bound and gagged and sitting on the bench doing significator duty.